Pat Ward Williams’s socially charged works confront issues of race, often dealing specifically with African American history and identity. Using a variety of photographic processes, video, audio tapes, assemblage and text, Williams layers meanings and images. 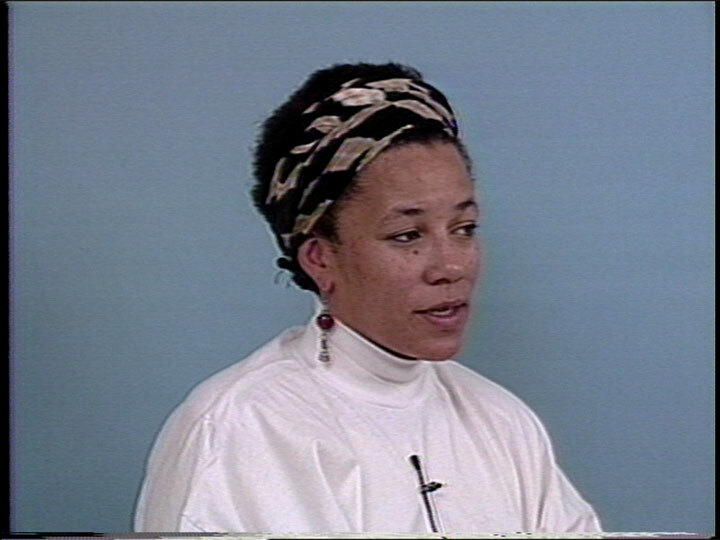 Her subjects range from the autobiographical to the public, often combining documentary techniques with personal responses. “When I make photos about my family, I think my family is not a lot different than other peoples’ families, so that is a way people can access my work... and have it move them also,” Williams says in this interview with Angela Kelly.